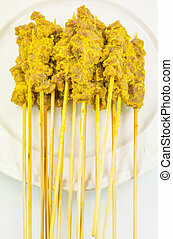 Beef satay, roasted meat skewer Malay food. 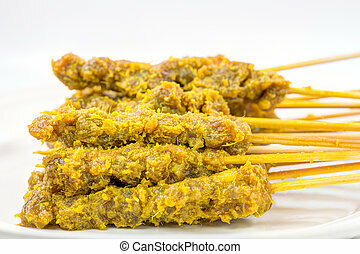 Traditional Singapore food. 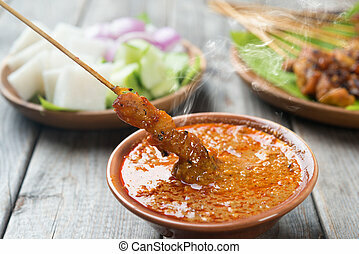 Hot and spicy Singaporean dish, Asian cuisine. 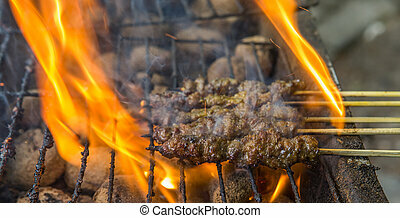 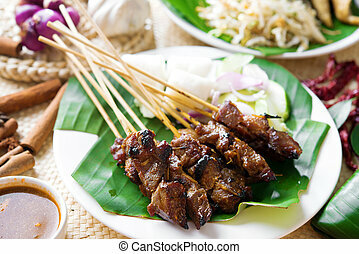 Beef satay, roasted meat skewer Asia food. 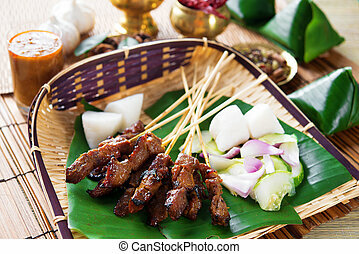 Traditional Southeast Asia food. 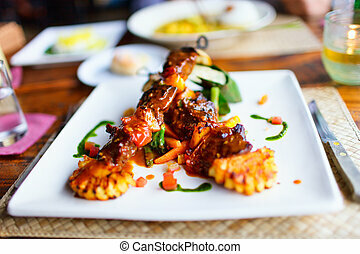 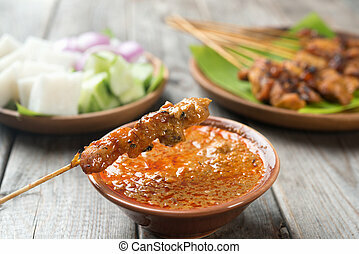 Hot and spicy Southeast Asian dish, Asian cuisine. 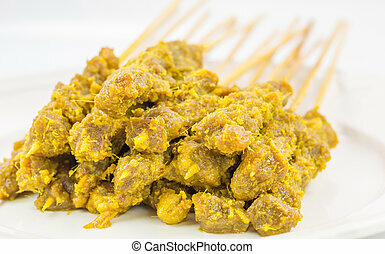 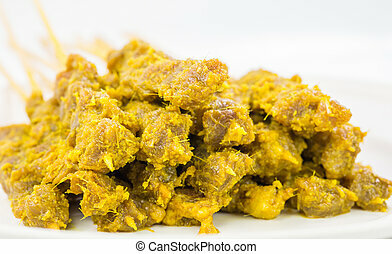 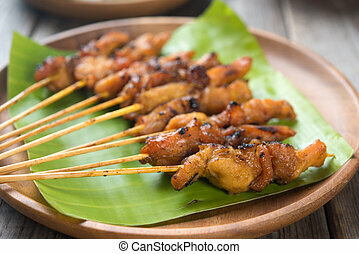 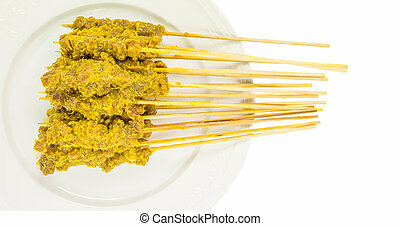 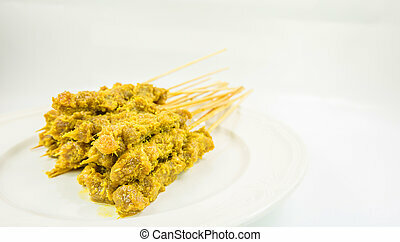 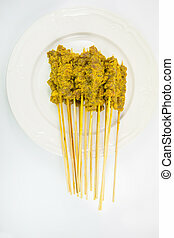 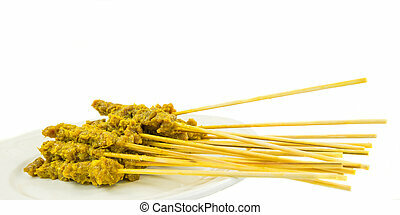 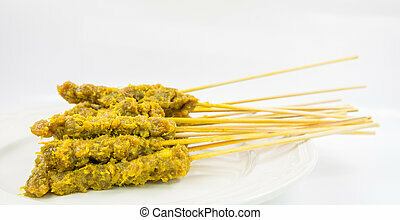 Overhead view people holding chicken satay on wooden dining table, one of famous local dishes. 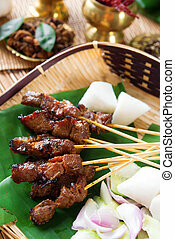 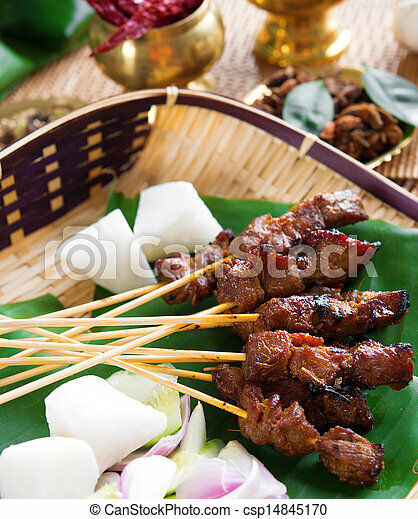 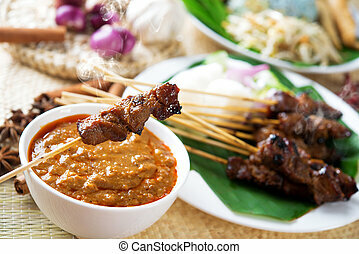 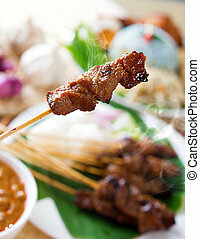 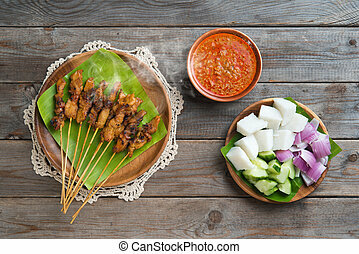 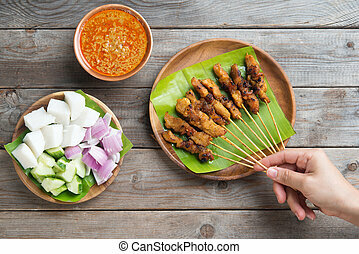 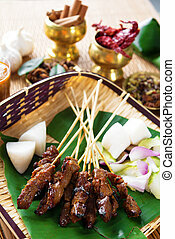 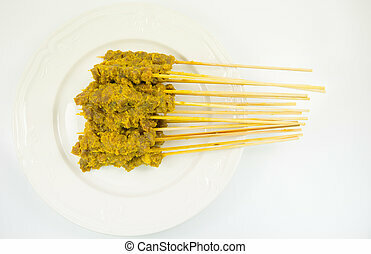 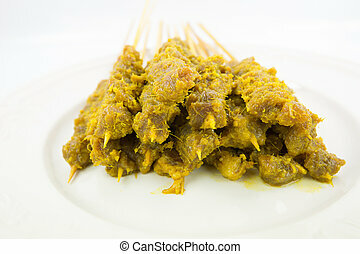 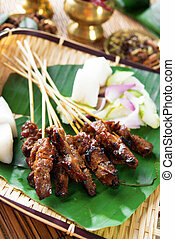 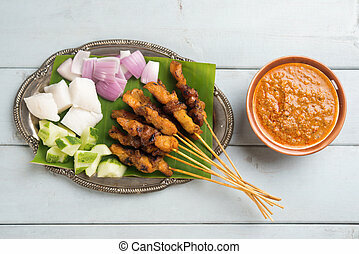 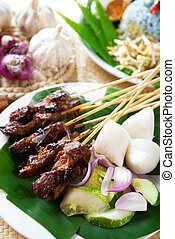 Satay or sate, skewered and grilled meat, served with peanut sauce, cucumber and ketupat. 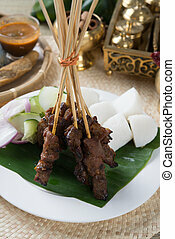 Traditional Malay food. 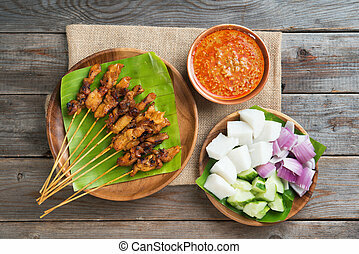 Malaysian dish, Asian cuisine.